The Game Developers Conference (GDC) is about to wrap up this week, but we absolutely need to talk about what is arguably the biggest announcement at the conference—Google Stadia. Google announced this new project on Tuesday, March 19th and it has already taken the internet by storm. Basically, everyone has an opinion on the service, the way it's being implemented, or the surrounding industries and how they'll be affected. And, due to being part of "basically everyone," I too would like to take a moment to discuss this magical new service called Stadia. Stadia is a video game streaming service being offered by Google, set to release sometime this year. The idea for this isn't new: offer the ability for users to stream content over their internet connection without ever needing to download the full thing, and without utilizing the full hardware requirements on their device. Services similar to this have been attempted by several other companies including NVIDIA, Shadow, and Vortex. Unfortunately, up to this point, none of these services has been overly successful due to hardware and bandwidth limitations, to name a few of the issues facing building a hardware-free future for gamers. Streaming digital media over the internet isn't a new concept, though. Since as early as the 1930s, we've been streaming music on-demand in elevators, and even more recently, we're surrounded by streaming services. From Spotify to Netflix, Hulu to Amazon Prime, Tidal to Apple Music, we are all subscribed and surrounded by these services every day. The key difference is that these services provide music, videos, and audio books (to name a few) but not video games. So the question I want to explore here is why? Why don't we currently have any highly successful platforms that are streaming video games directly to their players? 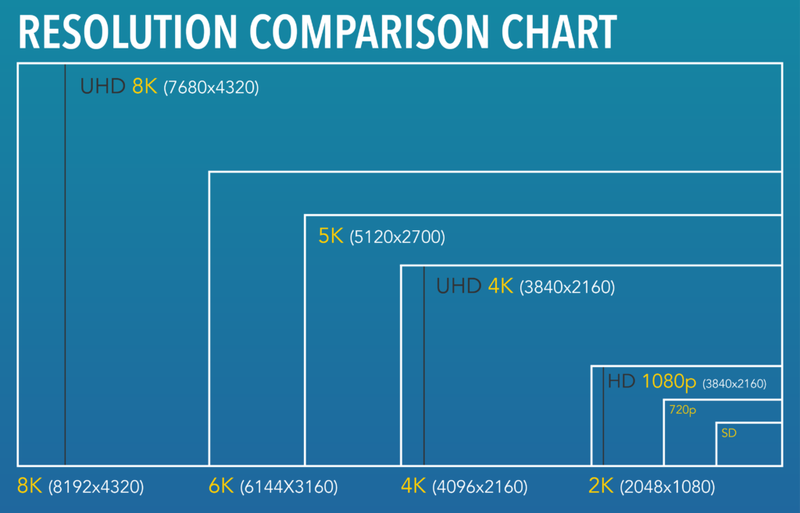 Let's take a look at the technology behind these streaming services: Google Stadia boasts the ability to stream games at 4k resolution (3840 x 2160 pixels) at 60 frames per second (4k60). This isn't anything OVERLY new, as services like Netflix offer 4k streaming packages as well. The biggest discrepancy between the two is that (generally), the video is streamed at 24 frames per second. This difference, combined with the nature of gaming requiring precise, near-instant action based on inputs, is one of the biggest hurdles to overcome in streaming games. Input latency is one of the key factors that has, and continues, to stump game streaming services. Input latency with a current-gen gaming console is something we all take for granted. The system within our reach, and the controllers can even be wired directly to them, creating a near-zero input latency. Once you add the middleman of an internet connection to the mix, however, that near-zero latency can creep up and start to make the gaming experience one of trying to predict the future. I always hear it about playing Super Smash Brothers online, whether the 4th installment for the Wii U and 3DS, or the newest one for the Nintendo Switch–the moment you get online it's a toss-up on whether or not the game is going to feel playable, or if the input latency is going to upset you until you turn it off. For many modern games, an input latency above 100ms (or 1/10 of a second) can be the difference between getting the win, or raging at the fact you lost because of a limitation of the technology. Input latency is the name of the game (or the problem) today, with internet latency being the next technology for us to talk about. This one directly affects input latency as well, adding an additional layer of communication between the players and the game. Now, it's not only the communication of the input directly to the console, but also we need to account for the input traveling through the series of tubes we call the internet to the server accepting the input, allowing the server to perform the action that was requested of it, that the visual queue of the input is displayed on your screen, and the screen of anyone else who could see that input. All of these things need to happen in nearly 1/10 of a second, and in sync on all of the applicable devices—otherwise, this type of service just doesn't work. Now, there is a light at the end of this tunnel filled with latency, and that's Google's infrastructure. Google, being the largest and most wide-reaching technology company in the world has a HUGE network infrastructure. With data centers all over the world, access to popular cell towers thanks to the Google Fi project, and Google Fiber being one of the best internet service providers in the country (although, with relatively limited access)—Google has the infrastructure to make this work. The biggest drawback, in my opinion, will come from internet service providers (ISPs). ISPs, at least in the United States, generally provide service with a data-cap. These caps (usually upwards of at least 250GB a month; I personally get 1TB a month) are the biggest pay-wall between everyone and services like Google Stadia. According to the Netflix help center, streaming video in UltraHD (read: 4k) can cost between 3GB and 7GB of data an hour. That means that a standard binge session (around 238 minutes, or roughly 4 hours) could use on average around 20GB of data, which is anywhere between 2% - 8% of your monthly cap, per session. Unfortunately, not a whole lot of specific data is actually available about Stadia currently (Google is keeping an air of secrecy around it until things are more finalized, I assume). We know that they want to offer cross-platform support, hundreds of AAA game titles, cloud saving, and instant streaming. Some of the launch game titles for Stadia that have been announced are Assassin's Creed: Odyssey and Doom Eternal, so I'd wager we'll be getting a ton of great titles early in the lifespan of this service. Additionally, Google is releasing a controller to go with the service, with specialized hardware to (hopefully) combat the input and internet latency we discussed above. The Stadia controller will be available on launch (for an additional cost), but from the tech demo, it looks like a slightly more generic (and less comfortable) Nintendo Pro Controller. I plan on following this technology at least until its release—if not further, depending on if it becomes worth it to try it out. Definitely be sure to check the Armor Techs blog in the future for more updates on Google Stadia and anything even remotely related to it. In the meantime, if you're looking to build a new gaming PC, fix that old console you have laying around, emulate old games for nostalgia, or anything else gaming and tech-related—let us know! Armor Techs does just about anything tech-related, and we're sure to be able to help you out!